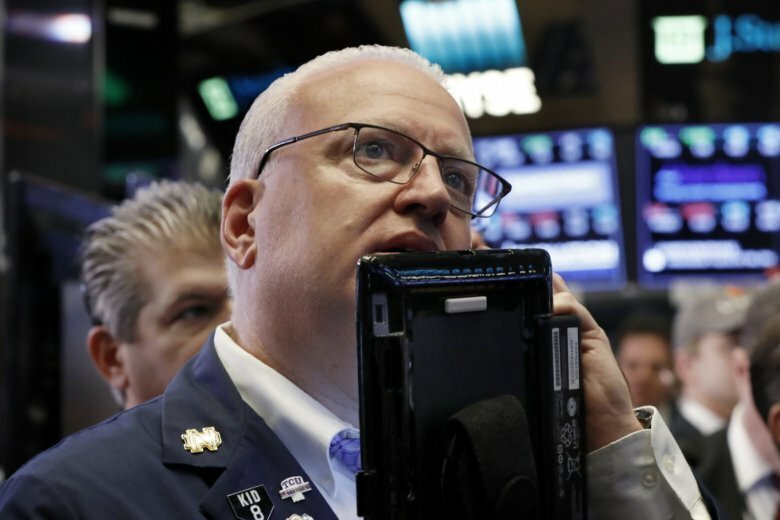 Stocks are falling sharply on Wall Street, sending the Dow Jones Industrial Average down 400 points and extending the market’s recent string of losses. The latest wave of selling came as investors grew unsettled by slowing economic growth in China and the costs of President Donald Trump’s aggressive trade policies. 3M fell 6.6 percent and Caterpillar lost 7.8 percent. Caterpillar said Trump’s taxes on imported steel were driving up costs. The S&P 500 fell 48 points, or 1.8 percent, to 2,706. The index is 7.5 percent below the peak it reached a month ago. The Dow lost 462 points, or 1.8 percent, to 24,853. The Nasdaq composite gave up 146 points, or 2 percent, to 7,322. Bond prices rose. The yield on the 10-year Treasury note fell to 3.13 percent. Stocks are opening sharply lower on Wall Street following big drops in Asia and Europe. The Dow Jones Industrial Average dropped more than 300 points in early trading, pulled down by big drops in Caterpillar and 3M. 3M fell 6.3 percent after its earnings missed Wall Street’s targets. Caterpillar, which makes construction equipment, fell 7 percent. Market favorites including Amazon and Apple fell sharply. The price of crude oil fell, pulling down energy stocks. The S&P 500 index fell 38 points, or 1.4 percent, to 2,716. The Dow lost 367 points, or 1.5 percent, to 24,939. The Nasdaq composite gave up 127 points, or 1.7 percent, to 7,339.